Today, too many of us face financial difficulties that we wouldn’t have had to face let’s say back in the 1980s. Not that there wasn’t a significant amount of “poor people” but today, there are more people who have college degrees and no jobs than I ever remember in the past. I haven’t seen any studies or statistical analysis to prove that statement but it seems that there are not enough “good jobs” available today. With the regulations on employers that sounded like it would be good for the employees, they turned out to be more detrimental. Back in 1994, the average job was a 40 hour work week. Sure, there may not have been a lot of benefits but when it all came down to survival, I could manage better with paying for my medical on a sliding scale versus paying huge monthly fees for medical insurance. I didn’t have dental but I don’t have dental now either and from what I can tell, dental insurance is worthless anyway. As the regulations for employers to provide benefits for employees who worked full-time jobs started coming with shorter work weeks, making money became even more difficult for the average employee and small business owner. With shorter work weeks came more regulations for the employers. With those came even shorter work weeks. Then people had to get 2 or 3 jobs to make up for the loss of hours from a regular 40 hour work week. Today, instead of employees fighting for longer work weeks and to end the part-time job dilemma, they are fighting for higher minimum wage. This is only causing more grief for us economically in the long run. Not only are wages, benefits and work hours a problem but with so many companies moving manufacturing overseas, the jobs that were available back in the mid 90s and earlier are now gone leaving a huge part of our population destitute and without jobs and many dependent families on welfare that wouldn’t have been if the work was equal to 1985. That small, unsubstantiated observation leads into the subject of Money spells. In the late 1990s, I was still able to find jobs that had 38 hour work weeks. I was new to spell casting using sympathetic magick and I have a huge problem attracting money. It seemed that the more money spells I did the less money I had. On my way home from a gathering, I asked for advice from a more experienced couple whom I expected to be more proficient at spell casting because they belonged to a Secret Coven of practicing Wiccan Witches. I had just started a new job and had already been out of work for 3 weeks. As I was in between jobs for a couple of weeks already and it took about 3 weeks to receive my first paycheck, I asked for advice on how to do a money spell that would encourage my new boss to grant my request for an advance on my first paycheck. I was $100 short on my rent that month and I wasn’t scheduled to get my first check for a couple more weeks which was too long to wait. It would put me in the middle of an eviction process. When I explained how I can’t seem to do a money spell that works and what I was actually wanting to manifest they responded with, “Consider your money spell a success, We can loan you the money”. I was hesitant but desperate. I didn’t expect an advance from my employer and I really didn’t want to be evicted for being 2 weeks late on rent. I explained how I would be able to pay them back in payments of $20 every week until the $100 was paid off and they said that would be just fine with them as long as I pay them back. I got my first check 2 weeks later and began the repayment process. By the last payment I made to them, I was given a little bonus from my employer. I passed down that bonus to the couple who “loaned” me the money with a thank you for their generosity along with an extra $50 for their patience. I was soon confronted with a nasty attack from someone I respected. She told me that I need to pay them back and how unethical it was that I borrowed money with the promise of repaying it and never paying it back. I was befuddled and I told her I made the agreed payments every week and even gave them a $50 bonus. She was livid with me and retorted that I should have never asked to borrow the money in the first place then quickly walked away without even giving me a chance to tell what actually took place. She never once asked me for my side of the story before confronting me on someone else’s word. Huge lesson learned there. One – Never trust anyone just because they seem nice and claim to be Witches. two – always follow your instincts and in the context of Wiccans, in the Wiccan Rede Poem, it suggests that when we have and hold a need, harken not to other’s greed. I think that actually is referring to doing business with greedy people just because one is in a position of need. I think that is great advice to always consider no matter who you are or what you believe. I learned it would have been better to be homeless than to accept generosity from people that made me think twice just because I was in a desperate situation. It solved my immediate problem of paying rent but it set me up to be the subject of a rumor that affected my relationship with someone I respected. When we need to do a money spell, we have to really think about what it is we actually need. In the context of magick, the more specific we are the more successful the outcome. For example, instead of accepting unsolicited money from someone, I should have done a spell to ensure my rent was paid on time. Who knows, I could have actually asked my boss for an advance and he may have granted my request. Or, maybe I would have been able to come to some other arrangement that concluded with my rent being paid. If I need food or any other basic need to be met in which money may provide an obvious solution, I would probably gain better results from doing a spell for putting food on the table instead of money. For me, money has negative associations with greed and evil because of my upbringing. I have a difficult time putting very much value in cash as I do in the things that the cash can buy. For me, Money is all about the trade. I need something and people want money for it. I could really care less about money but I do like food and shelter that require cash. On the other hand, I also believe that the source whom I offer supplication likely doesn’t have any value for cash either. That source for me is my deity and my higher self or the Divine Spirit within and without, the Universe, or whatever. Remember, I believe that magick works but we have to be open and aware of how it may manifest and it is not always as mysterious as we imagine. Knowing WHAT to actually focus on will yield better results in the long run. Remember, belief is a huge part of magick too. You have to believe that you deserve what you are trying to manifest as well as believe it is attainable. Let’s talk about winning the lottery for a second. In light of the concept of money, being specific, belief and focus, why can’t we do a spell to win the lottery? Well, that has to do with Luck or chance. I don’t know if anyone or many of us actually believe in the validity of winning the lottery enough to win by chance or maybe it is that we don’t really believe we have the “Luck” to win by chance or that we deserve the reward of a jackpot win. I can only guess why because it has never worked for me. Again, it has a lot to do with belief in what you are doing and how it works. 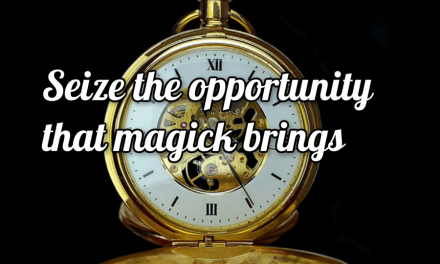 Magick is usually based on taking action and then directing it with our will. That is much like asking for an advance on my paycheck for money I’m already likely to earn. It was easy to imagine and believe that I would get that money than it is for me to believe that I will win the lottery which is a purely random chance. The next time you want to do a money spell, consider doing a spell to get what you want the money for. It is more likely to manifest what you want the money for than it is to actually get the money itself. Even with the law of attraction, it is all about belief. What do you believe about yourself in terms of financial success and how do you believe you can get it? What are you willing to do to make it happen? One last question, do you believe it is reasonable? Great article this has helped me greatly for when I do future money spells, thanks summer song. <3 I am so glad it is helpful. I think sharing our stories can always help someone else. I didn’t give a spell. I actually gave a suggestion for what to consider doing a spell for and a bit of the mindset of what makes spells work. It is my belief that spells are more effective if the person who needs it creates it. A lot of intent in the creation of spells. I can give some suggestions. First, try instead of doing the spell with the intent of getting the money for rent, try doing a spell for what you really need which is shelter or a home. Security of a residence. Choose the thought that flows best with your thoughts and desires. As a Kitchen witch, I would bake some bread from scratch with 3 big pinches of Basil for prosperity and protection and 3 big pinches of Oregano for luck and protection then at the end of baking time I would sprinkle it with a little cheese to help attract the basic needs to be met. A dessert could be added with fresh apples, cinnamon and allspice for good luck and to increase the power of your spell. A charm works for many. also we are in the waning moon cycle. It would be a good time for banishing or letting go of something. Letting go of stress and anxiety about homelessness and the fear. I know because I have been homeless for a little while. Even homeless, I was lucky to because by chance we inherited a tent for shelter and food to eat and a way to prepare food. It was the best homeless experience possible. Magick works in basic mundane ways in my experience. When I was faced with being homeless, It was very sudden. We had just paid rent and bought food for the family my ex-husband was staying with (Also not my choice). They didn’t like my husband with good cause and threw him out and being the good wife I followed although I was welcome to stay. We drove around for a while not really sure of what to do or where to go since we had no money left. We went to this little beach off of a river bank just across the border of the state we lived in. We pulled in and slept in the back of my ex-husband’s Pickup truck. We obviously picked the wrong night to become homeless. There was a huge party on the beach that night and they didn’t quiet down until almost dawn. I might have gotten 2 hours of sleep that night. The next day was a bit different. We got up and managed to scrounge through our belongings and found some good morning dishes and pans. That morning we shared the little food we had and we also had some coffee and a camping coffee percolator pot oh and some flavored creamer. Breakfast was on us and in return, someone had left a tent behind that we were welcomed to use. We happened to have a couple of sleeping bags. We met a whole lot of travelers and a homeless family. Winter was coming and we all needed shelter and I needed resources to find a job. I sat by the fire without anything to do a physical spell and no real privacy. I sat by the fire and chanted a spell in my head to find needed resources to get a job. In a week we had enough money to pay for a hotel room. It had monthly rates and we ended with enough money to pay for a month. Bam! I had a phone, a shower and access to public transportation to find a job. I also ended up with food. Once I got a job I was then able to afford one with a kitchenette and was now with the means for secure shelter with all the necessities to get back on my feet. I have to add that I also wore a charm bag to help attract good luck and prosperity. In a small bag around my neck I placed an aventurine that was charged with the intent of safe travel (being homeless), white sage and ceder for cleansing and protection. I only took it off to bathe in the river which I securely hid that bag nearby where it wouldn’t be found. 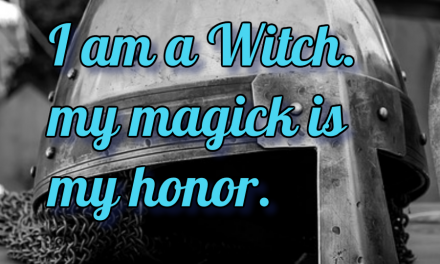 Magick works through our own desire, imagination, and Willpower with our intentions. Understanding how magick works on the mundane through the focus of our intent with those tools I mentioned, is a huge key and making your spells work for you. How to create a spell is up to you. I like using rhyming chants because it flows better for me. Chanting until I feel it was enough for me to know and believe that everything is going to work out. That no matter what, I am going to be ok. It doesn’t matter what it is for. 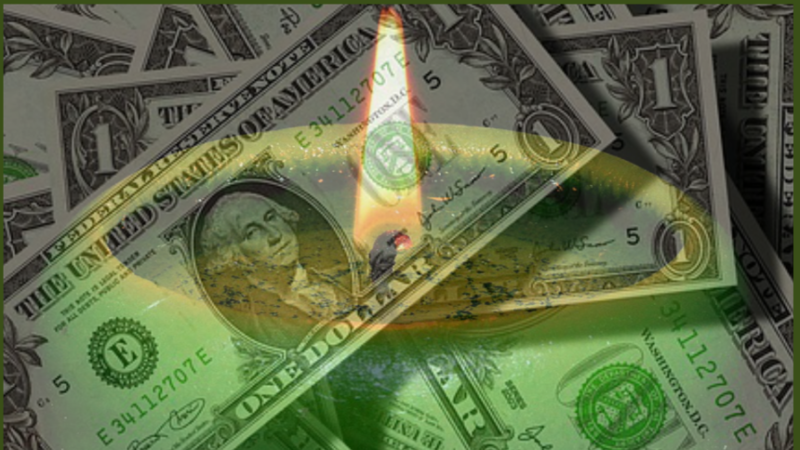 You can burn a green (color of American money) candle while you chant. You can burn a patchouli scented incense to help your mind focus on your intent while you chant. Keep your focus clear on exactly what it is you desire to manifest then let it go. Release it. Know that your spell is going to work because what you truly believe, is what will manifest. You could try necromancy to get what you need. If you have relatives buried nearby take them an offering of three small silver coins and some brown liquor. Give the items to the person whose help your asking for and tell them what you need help with. Provided they liked you in life they more than likely will help. And the coins don’t have to be real silver though I think they work better, just the color. Read your article. And it is great. I had done spells for money from basing it on someone else’s spell or maded my own. 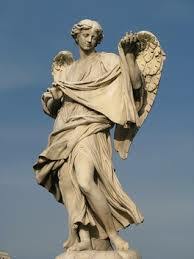 To petitioning help to Deities and spirits with mix results. If you want to become a millionaire over night? It’s not going to happen at least not that way. And wealth can be interpreted in many other ways. And many other forms. Spells I had done were either with writing it down on paper and burning it with incense to creating a witch bottle for wealth. The spells do work. But they take what you have and use that. I.E. more hours at work, etc. Money does come. But you won’t win the lottery. It hasn’t happen to me yet. But you never can tell. Iam just saying the spells for financial help work. 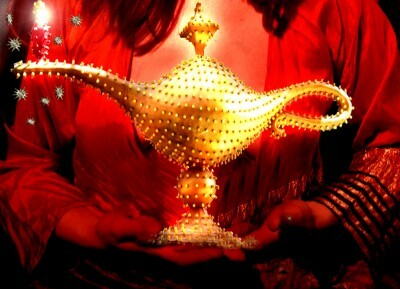 You need patience especially if you work with a Deity or a spirit such as Fae or Djinn and a spell alone as well. There are no short cuts. Just believe and do the spell whenever you can. Repeatedly if possible. OMGosh Richard, great point. You definitely have an understanding of Magick.